Before we continue on with what I think is a truly superb interview, I’d like to share a bit of exciting news: I’ll be returning to teach at the annual Pacific Northwest Writers Association Conference next month. Held right here in our sparkling Emerald city July 17th-20th, this conference is not only a well-run, fantastic spectacle of fabulous writers, teachers, agents, and editors, but also holds a mighty special place in my heart. It was at the PNWA conference several summers back where my agent met up with the editor who would fight for my little story and eventually go on to publish it. Our trio felt like it was destined to come together from the very start, making our journey a PNWA success story we were all too happy to share during a panel discussion at last summer’s conference. This year, I’ll be teaching a workshop titled, Working with Literary Magazines, a topic a I happen to know a thing or two about after nearly five years behind the editorial desk of The Los Angeles Review. 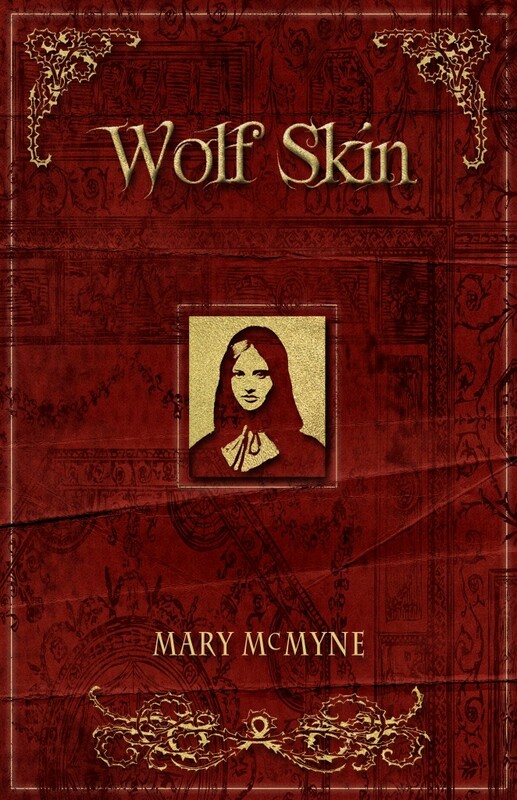 I recently interviewed friend and fellow contributor to The Burden of Light: Poems on Illness and Loss, Mary McMyne, about her collection of poems, Wolf Skin. I’m a long-time fan of Mary’s writing and it’s been a pleasure to follow her success over the years, and an honor to be a part of that success. 1. Let’s talk about that fantastic title! At what point in the process of composition did you nail it down and know you had the title of your manuscript? What does it represent for you? Many of the poems in the chapbook explore our preoccupation with putting on a front of invulnerability or fierceness. European folktales as we know them today are violent stories, with clear underlying assumptions about the widespread existence of evil in the world. One of the questions I found myself asking, as I wrote these poems, is do I believe in that evil? Whatever it is, how should we choose to react to it? The title poem follows the huntsman from the Brothers Grimm variant of Little Red Riding Hood as he comes upon the wolf asleep—snoring loudly—in the grandmother’s bed. Because the poem is written in second person, reading the poem, you enter the huntsman’s mind as he realizes what the wolf has done and rushes to save the girl and her grandmother. You become the huntsman, as he “slit[s] the beast open, the word hero stinging [his] tongue.” But Red and the grandmother do not respond, here, as they do in the Grimms’ version. At the end of the poem, the huntsman plans the story he’ll tell his friends, then tries on the “wolf skin” as he walks home. The title shifted several times during the writing process, but when the poem was accepted at Los Angeles Review, I loved your and Kelly Davio’s suggestion that I pull out the phrase “wolf skin” from the final verse and use it as the title, because of the way it brought out the themes of the poem. Ultimately, the poem asks, what really happened at grandmother’s house? Why do men become heroes or villains? 2. Has poetry always been your primary literary outlet; what about the genre keeps you coming back over the years? Actually, although I’ve written poetry for as long as I can remember, I’m not sure I’d call it my primary literary outlet. Certainly, I was one of those kids; on a cross-country road trip when I was about nine or ten, I recall, very clearly, torturing myself over the rhyme and meter of an epic poem about St. George and the Dragon. In college, the first workshop I ever took was a poetry workshop in which I had the good fortune to meet and encounter the early work of Ava Leavell Haymon. But I’ve only ever enrolled in one poetry workshop since—a wonderful, idiosyncratic class with Andrei Codrescu, which I took in graduate school at LSU. My formal study of writing has actually focused on fiction. I’ve had the good fortune to study with wonderful novelists and teachers, like E.L. Doctorow, Chuck Wachtel, Moira Crone, and Jim Wilcox. The truth is, I’ve always written in multiple genres, and I don’t think of them as entirely separate. My poems are often narrative; my fiction has lyrical elements. I think the thing that keeps bringing me back to poetry is its music. I took piano lessons for years as a kid, even composing a little, but seven years ago, during my second cross-country move in three years, I realized I couldn’t afford to keep moving my piano. Poetry is music you can compose anywhere. I love its lyricism, its brevity. When I’m working on a novel, it can take me hours to get started. You can slip into the world of a poem more quickly than you can slip into the world of a novel or story, and when I come to the writing table I am looking for that dream state. 3. Your poetry has strong anchors in history and place. Do you make a conscious effort to root your creative work in the context of time and place? Absolutely. Anything I write that’s not confessional or personal—set in a place and time I know well—I do a ton of research to get the details right. Primary sources, reading in the period, going there if I can, taking pictures, viewing videos or photographs, reading scholarly articles, whatever. The poem I wrote about Marie Curie’s daughter, “Irène Joliot-Curie,” which originally appeared in Painted Bride Quarterly but you recently reprinted in The Burden of Light: Poems on Illness and Loss, is probably the most painstakingly researched poem I’ve written to date. I wanted to make sure I understood not only Joliot-Curie’s scientific accomplishments, but also the details of the poem’s setting. I sought out photographs of Joliot-Curie in the lab with her husband Frédéric, photographs of the Curie Hospital in Paris where she died, and information on the exact medical technologies that would’ve been used at the time of her hospitalization, and so on. The poems in Wolf Skin are set in two time periods: there are poems about a modern woman whose mother told her all the usual folktales, and then there are the poems retelling those tales. For the modern poems, because the speaker’s mother is into entomology, I did a lot of research on butterfly migration patterns and insect collecting. In order to write the fairy tale retellings, I researched the known iterations of each tale—how they changed over time—and the historical conditions that inspired them. For example, there’s a poem in the chapbook about the woodcutter’s wife, who convinces her husband to leave Hansel and Gretel deep in the woods, which is clearly inspired by the famine conditions that were often experienced in medieval Europe. I read a lot about that, about the medieval werewolf trials, the flora and fauna in southern Europe, you name it. I’m an obsessive researcher. 4. What surprised you most about working through this chapbook? How wonderfully consuming it can be to write a linked series of poems. Wolf Skin was my first multi-poem project, and I found myself obsessed with this woman’s story and emotional journey. In some ways, the process of writing the chapbook was similar to the process of writing fiction; I would see things, in my daily life, and consider them from my character’s perspective. The first poem in Wolf Skin is one I composed in the car, on my way to visit my husband downstate as my daughter slept in the backseat. I saw a billboard, heard the first line in my head, and felt compelled to keep reciting and reworking the subsequent lines aloud until I got it right and pulled over to record it on my phone. That’s another thing that keeps me coming back to poetry—the way you’re haunted by a line or image, at first, but have no idea why it fascinates you. I love the process of figuring that out with sound. 5. As the mother of a young daughter, how did your treatment of fairytale lore change as the manuscript evolved? Surely, this must have been a complicated matter as both parent and artist. Well, I’ve loved fairy tales since I was a girl, but I’ve become a far more critical reader since I became a mother. Rereading my copy of Grimm when my daughter was very young, in preparation for telling her the tales, is actually what inspired Wolf Skin and my novel-in-progress. Originally, I thought I was looking forward to telling Alice these tales. But rereading them, I had an altogether different experience than the one I had as a girl, finding myself less enchanted than irritated at their underlying assumptions about gender. Why does Little Red Riding Hood fall for the wolf’s scam?, I wondered. Why does Rapunzel slip up and accidentally reveal her affair with the prince to the witch—does she lack the intellectual capacity to deceive her captor? What would happen to the girl who grows up believing the lessons of these tales? As I’ve read and reread these stories, I’ve come to prefer some tales over others. Rumplestiltskin, Hansel and Gretel, Seven Ravens, and Snow White and Rose Red, are some of my favorites, for their relatively active heroines. I can’t really stomach the classic Cinderella, Little Red Riding Hood, or Sleeping Beauty—if Alice wants me to read one of those, I can’t help myself; I’ll change details! I’ve also become a fan of folktale retellings for children, collecting a library of picture books with strong female heroines, such as Kate and the Beanstalk and Cinderedna, which I prefer over the classic versions. Right now, Alice and I are working on a musical puppet show that we’re calling Cinderelsa: a mash-up of Cinderella and Frozen. In this version, Cinderella has ice powers which she is somewhat careless in using to retaliate against her stepmother—she has to learn to control them. Maybe my aims as a parent aren’t so different from my aims as a writer. I want to teach Alice not to be a passive reader, not to look at stories as static. 6. What project(s) are you working on now? A sequence of poems so new, if I talk about them, I might scare them away, and a novel set in 12th century Germany, The Book of Gothel, which speculates about the historical roots of several well-known folktales. There’s actually a lot of crossover between my novel-in-progress and Wolf Skin; one of the poems, “Old Woman Gothel,” reads like a persona poem from the narrator of the novel late in life. I was lucky enough, last year, to win a grant from the Sustainable Arts Foundation to travel to Germany to do background research on The Book of Gothel. Earlier this summer, I got to spend two weeks in southwestern Germany, following in my narrator’s footsteps, visiting city museums in Konstanz and Freiburg and Bingen, hiking to the ruins of medieval abbeys and castles in and around the Black Forest, making a pilgrimage to a thousand-year-old abbey, and being blown away by 12th century religious art. During the trip, I marked my manuscript to bits; now I’m revising those pages so that the time and place will ring true. Mary McMyne is the author of Wolf Skin (dancing girl press, 2014).Her poems and stories have appeared or are forthcoming in Poetry International, Los Angeles Review, Pedestal Magazine, Painted Bride Quarterly, Word Riot, New Delta Review, Apex Magazine, and many other publications. 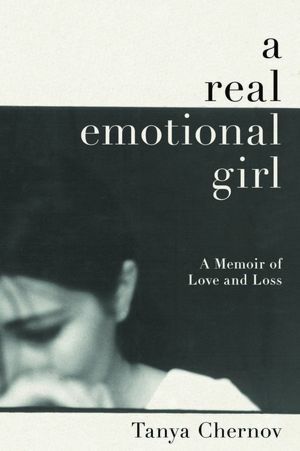 Her criticism has appeared in American Book Review. She has been nominated for the Pushcart Prize and Rhysling Award for her poetry, and she has won the Faulkner Prize for a Novel-in-Progress and a grant from the Sustainable Arts Foundation for her fiction. She teaches English and creative writing at Lake Superior State University, where she is co-editor of the journal Border Crossing. Follow her on twitter @marymcmyne.